The tweet, which had been posted to the top of Mr Trump's Twitter feed on Sunday, was removed after Democratic Speaker of the House Nancy Pelosi made the request to the White House, but is still viewable on his feed. President Donald Trump is escalating his feud with Rep. Ilhan Omar, accusing her on Twitter of making "anti-Semitic, anti-Israel and ungrateful U.S. HATE statements". 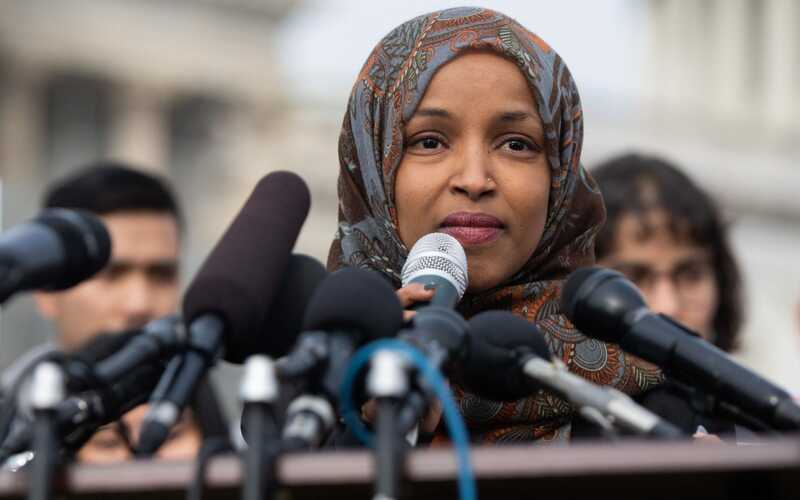 The ultra-right furor follows a series of media provocations against Omar based on bogus claims of anti-Semitism because of her criticisms of Israeli oppression of the Palestinians and the subservience of many United States politicians to the Israel lobby. No one should be threatened for expressing their opinions, and the government should take whatever action is necessary to make sure Omar is safe. It's because of Rep Omar's vigorous leadership of progressive values, as well as her identity as the first Black Muslim woman in Congress, that she is a target of constant racist and bigoted attacks. Pelosi said officials would continue to monitor and assess threats against Omar, and called on Trump to discourage such behaviour. Trump tweeted, along with the video. Even many of those attempting to show her support are still mischaracterizing what she said, either because they didn't watch the speech, or because they're afraid of taking a stance that might alienate those who didn't. In an interview with ABC News, White House press secretary Sarah Huckabee Sanders insisted, "It's a good thing that the president is calling [Omar] out".